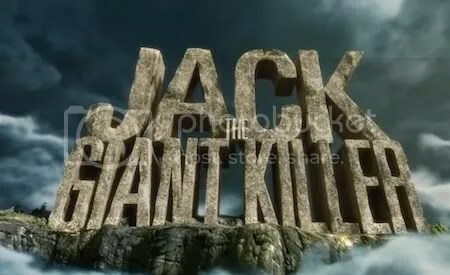 Director Bryan Singer’s latest film, Jack The Giant Killer is stomping its way towards our cinemas in June 2012. It stars Nicholas Hoult as Jack, a humble farm lad, who comes into possession of some potent magic beans. Despite a Gremlins-style admonition to never let them get wet, that’s exactly what happens and soon a massive beanstalk has sprouted up, taking Jack’s home and Princess Isabelle (Eleanor Tomlinson) with it. So Jack is forced to go on a mission to rescue her. Which would be difficult enough, but there are some giant problems lurking around and the kingdom in which Jack lives, and there has been in an uneasy peace with their giant neighbours, but this latest incident causes real trouble. The film also stars Ewan McGregor, Stanley Tucci, Warwick Davis, Ian McShane, Bill Nighy, Ewan Bremner and Eddie Marsan and the film itself is out on June 15 2012. I just hope Hollywood don’t turn it into a meaningless Special Effects extravaganza with loads of explosions at the expense of the story and characterization. Mind you Bryan Singer has done some great films so it should be in good hands. There are also many legends concerning Giants and one such legend is of a Cornish giant named Cormoran, also recorded as Cormilan, Cormelian, Gormillan, or Gourmaillon, who was said to have lived in a cave on St Michael’s Mount and terrorized the people of Penwith (or, in some accounts, all of Cornwall). He is best known as the first giant killed by Jack in the fairy tale version of “Jack the Giant Killer”. In some accounts he is mistakenly identified as Blunderbore.According to Joseph Jacobs’ account, Cormoran was 5.5 m (18 ft) tall and measured about 2.75 m (9 ft) around the waist. The giant regularly raided the mainland, “feasting on poor souls…gentleman, lady, or child, or what on his hand he could lay,” and “making nothing of carrying half-a-dozen oxen on his back at a time; and as for…sheep and hogs, he would tie them around his waist like a bunch of tallow-dips. The giant lived in a cave on St Michael’s Mount, and walked to the mainland during ebb tide. According to local legend, Cormoran and his wife Cormelian (whose name also appears as a variant of Cormoran) were responsible for the construction of St Michael’s Mount. Together they carried granite from the West Penwith Moors to the current location of St Michael’s Mount. When Cormoran fell asleep from exhaustion, his wife tried to sneak a greenschist slab from a shorter distance away. Cormoran awoke and kicked the stone out of her apron, where it fell to form the island of Chapel Rock. Trecobben, the giant of Trencrom Hill (near St Ives), is said to have accidentally killed Cormelian while throwing a hammer over to St Michael’s Mount for Cormoran. He and Cormoran buried Cormelian beneath Chapel Rock. According to Joseph Jacobs’ account, the councillors of Penzance convened during the winter to solve the issue of Cormoran’s raids on the mainland. After offering the giant’s treasure as reward for his disposal, a farmer’s boy named Jack took it upon himself to kill Cormoran. Older chapbooks make no reference to the council, and attribute Jack’s actions to a love for fantasy, chivalry, and adventure. Either way, in the late evening Jack is said to have swum to the island and dug a 6.75 m (22 ft) trapping pit, although some local legends suggest he dug the pit to the north in Morvah. After completing the pit the following morning, Jack blew a horn to awaken the giant. Cormoran stormed out, threatening to broil Jack whole, but fell into the hidden pit, and after being taunted for some time, was killed by a blow from a pickaxe or mattock. After filling in the hole, Jack retrieved the giant’s treasure. According to the Morvah tradition, a rock was placed over the grave. Today this rock is called Giant’s Grave. Local lore holds that the giant’s ghost can sometimes be heard beneath it. The story of Cormoran may have its roots in another Cornish tale, that of Corineus and Gogmagog. Gogmagog was Another legendary giant (Also Known as Goemagot, Goemagog or Gogmagoc) who According to the 12th Century Historia Regum Britanniae (“The History of The Kings of Britain”) by Geoffrey of Monmouth, was an inhabitant of Albion, which was only inhabited “by a few giants”. 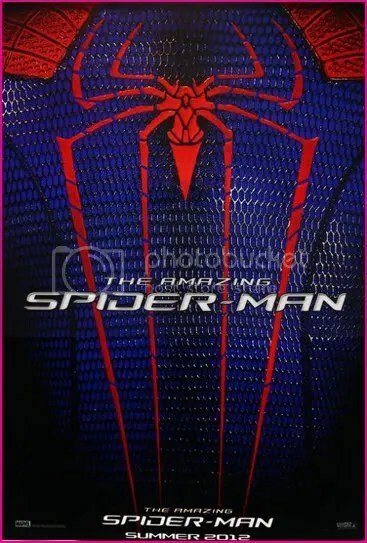 Recently some official stills from the forthcoming Spider-Man movie, “The Amazing Spiderman” were released. The Film hits the big screens next summer and stars Andrew Garfield as the friendly neighbourhood superhero as well as his alter-ego Peter Parker who took over the role from Tobey Maguire. The film also stars rising star Emma Stone, who plays Gwen Stacey, Parker’s high school classmate and his love interest. Gwen’s father, is NYPD police officer Captain Stacey, and is played by Denis Leary, whose character strongly approves of his daughter’s relationship with Parker, and is also a big fan of Spider-Man and approves of his vigilante behaviour, often defending him to his friends and colleague. Chris Zylka plays the role of Eugene ‘Flash’ Thompson, a high school football player and classmate of Parker who bullies him mercilessly, and The film also stars Rhys Ifans as Dr Curt Connors, who transforms into super villain The Lizard after ingesting a serum containing reptile DNA. The film, will focus on Peter developing his spider abilities in high school, also stars Martin Sheen as Ben Parker, Peter’s uncle, and Sally Field as his Aunt May. The American comic book writer editor, actor, producer, publisher, television personality, and Founder of Marvel Comics, Stan Lee was born on this day 28th December in 1922 in New York City. As a child Lee was influenced by books and movies, particularly those with Errol Flynn playing heroic roles. He was A voracious reader who enjoyed writing as a teen, during his youth he worked such part-time jobs as writing obituaries for a news service and press releases for the National Tuberculosis Center; delivering sandwiches for the Jack May pharmacy to offices in Rockefeller Center; working as an office boy for a trouser manufacturer; ushering at the Rivoli Theater on Broadway; and selling subscriptions to the New York Herald Tribune newspaper. He graduated high school early, at age 16½ in 1939, and joined the WPA Federal Theatre Project. With the help of his uncle, Robbie Solomon, Lee became an assistant at the new Timely Comics division of pulp magazine and comic-book publisher Martin Goodman’s company. Timely, by the 1960s, would evolve into Marvel Comics. Lee, whose cousin Jean was Goodman’s wife, was formally hired by Timely editor Joe Simon. Marshaling his childhood ambition to be a writer, young Stanley Lieber made his comic-book debut with the text filler “Captain America Foils the Traitor’s Revenge” in Captain America Comics #3 (May 1941), using the pseudonym “Stan Lee”, which years later he would adopt as his legal name. Lee later explained in his autobiography and numerous other sources that he had intended to save his given name for more literary work. This initial story also introduced Captain America’s trademark ricocheting shield-toss, which immediately became one of the character’s signatures. He graduated from writing filler to actual comics with a backup feature, “‘Headline’ Hunter, Foreign Correspondent”, two issues later. Lee’s first superhero co-creation was the Destroyer, in Mystic Comics #6 (Aug 1941). Other characters he created during this period fans and historians call the Golden Age of comics include Jack Frost, debuting in USA Comics #1 (Aug. 1941), and Father Time, debuting in Captain America Comics #6 (Aug. 1941). When Simon and his creative partner Jack Kirby left late in 1941, following a dispute with Goodman, the 30-year-old publisher installed Lee, just under 19 years old, as interim editor. The youngster showed a knack for the business that led him to remain as the comic-book division’s editor-in-chief, as well as art director for much of that time, until 1972, when he would succeed Goodman as publisher. In the mid-1950s, by which time the company was now generally known as Atlas Comics, Lee wrote stories in a variety of genres including romance, Westerns, humor, science fiction, medieval adventure, horror and suspense. By the end of the decade, Lee had become dissatisfied with his career and considered quitting the field. In the late 1950s, DC Comics editor Julius Schwartz revived the superhero archetype and experienced a significant success with its updated version of the Flash, and later with super-team the Justice League of America. In response, publisher Martin Goodman assigned Lee to create a new superhero team. Lee’s wife urged him to experiment with stories he preferred, since he was planning on changing careers and had nothing to lose. Lee acted on that advice, giving his superheroes a flawed humanity, a change from the ideal archetypes that were typically written for preteens. Before this, most superheroes were idealistically perfect people with no serious, lasting problems. Lee introduced complex, naturalistic characters who could have bad tempers, melancholy fits, vanity; they bickered amongst themselves, worried about paying their bills and impressing girlfriends, got bored or even were sometimes physically ill. He collaborated with several artists, most notably Jack Kirby and Steve Ditko, and co-created Spider-Man, the Hulk, the X-Men, the Fantastic Four, Iron Man, Thor, and many other fictional characters, introducing complex, naturalistic characters and a thoroughly shared universe into superhero comic books. Stan Lee’s Marvel revolution extended beyond the characters and storylines to the way in which comic books engaged the readership and built a sense of community between fans and creators. Lee introduced the practice of including a credit panel on the splash page of each story, naming not just the writer and penciller but also the inker and letterer. Regular news about Marvel staff members and upcoming storylines was presented on the Bullpen Bulletins page, which (like the letter columns that appeared in each title) was written in a friendly, chatty style. Throughout the 1960s, Lee scripted, art-directed, and edited most of Marvel’s series, moderated the letters pages, wrote a monthly column called “Stan’s Soapbox,” and wrote endless promotional copy, often signing off with his trademark phrase “Excelsior!” Lee also supported using comic books to provide some measure of social commentary about the real world, often dealing with racism and bigotry. “Stan’s Soapbox”, besides promoting an upcoming comic book project, also addressed issues of discrimination, intolerance, or prejudice. In later years, Lee became a figurehead and public face for Marvel Comics. He made appearances at comic book conventions around America, lecturing at colleges and participating in panel discussions, . He has also been an executive producer for, and has made cameo appearances in Marvel film adaptations and other movies. In the 2000s, Lee did his first work for DC Comics, launching the Just Imagine… series, in which Lee reimagined the DC superheroes Superman, Batman, Wonder Woman, Green Lantern and the Flash. In 2006, Marvel commemorated Lee’s 65 years with the company by publishing a series of one-shot comics starring Lee himself meeting and interacting with many of his co-creations, including Spider-Man, Doctor Strange, the Thing, Silver Surfer and Doctor Doom. These comics also featured short pieces by such comics creators as Joss Whedon and Fred Hembeck, as well as reprints of classic Lee-written adventures. In 2008, Lee wrote humorous captions for the political fumetti book Stan Lee Presents Election Daze: What Are They Really Saying?.Lee and Hiroyuki Takei were collaborating on the manga Karakuridôji Ultimo, from parent company Shueisha. In 2009, he and the Japanese company Bones produced its first manga feature, Heroman, serialized in Square Enix’s Monthly Shōnen Gangan; the feature was adapted to anime in April 2010. In 2010 The Stan Lee Foundation was founded which focussed on literacy, education and the arts. Its stated goals include supporting programs and ideas that improve access to literacy resources, as well as promoting diversity, national literacy, culture and the arts, andIn August 2011, Lee announced his support for the Eagle Initiative, a program to find new talent in the comic book field. Stan Lee’s favorite authors include Stephen King, H. G. Wells, Mark Twain, Arthur Conan Doyle, William Shakespeare, Charles Dickens, and Harlan Ellison. He is also a fan of the films of Bruce Lee and was inducted into the comic book industry’s Will Eisner Comic Book Hall of Fame in 1994 and the Jack Kirby Hall of Fame in 1995. In order to understand the history of cinema, a list of 20 classic films has recently been drawn up, listing the films which every child should watch, and with it being the Christmas Holiday, Everyone is off School and most of these films are being (or have been) shown on Television. First up are Ten classic movies which Primary School Children should see. The Red Balloon (1956) A dialogue-free short film about a boy and his balloon, directed by Alfred Lamorisse, which won a best screenplay Oscar. The Wizard of Oz (1939) Fantasy masterpiece starring Judy Garland which takes viewers on a magical journey into the land of Oz. Oliver Twist (1948) David Lean’s adaptation of this Dickens novel following the fortunes of a young orphan boy. The Lavender Hill Mob (1951) A mild-mannered bank clerk turns to crime in this comedy from Ealing Studios. The Kid (1921) Silent film written, directed and starred in by movie legend Charlie Chaplin, which tells the tale of a abandoned child. Miracle on 34th Street (1947) Christmas classic watched and re-watched by millions every year about a department store Santa Claus. Singin’ In The Rain (1952) One of the most well-known musicals in movie history starring Gene Kelly and Debbie Reynolds. La Belle et La Bête (1946) French fairytale from director Jean Cocteau re-telling the Beauty and the Beast story. The Great Escape (1963) Classic World War Two drama, starring Steve McQueen, based on the true story of the prisoners of war at Stalag Luft III. Twelve Angry Men (1957) A dissenting juror in a murder trial attempts to sway the minds of his fellow jurors. The Night of the Hunter (1955) Black and white thriller directed by Charles Laughton and starring Robert Mitchum. Kind Hearts and Coronets (1949) Another Ealing Comedy where Alec Guinness plays eight characters. Best known as bassist, vocalist, songwriter and founding member of the rock band Motörhead as well as a member of Hawkwind, heavy metal musician Ian Fraser “Lemmy” Kilmister was born on this day 24 December 1945, in Burslem, Stoke-on-Trent. His appearance, including his friendly mutton chops, prominent facial moles and gravelly voice, have made him a cult icon. Lemmy started his musical career in Stockport, where he joined local bands The Rainmakers and then The Motown Sect who enjoyed playing northern clubs for three years. Then in 1965 he joined The Rockin’ Vickers who signed a deal with CBS, released three singles and toured Europe, and were reportedly the first British band to visit Yugoslavia. In 1971, Lemmy joined the Prog rock band, Hawkwind, who were based in Ladbroke Grove, London, as a bassist and vocalist. Although he had no previous experience as a bass guitarist, he quickly developed a distinctive style that was strongly shaped by his early experience as a rhythm guitarist, this is best demonstrated on songs like Space Ritual. He also provided the lead vocals on a number of songs, including the band’s biggest UK chart single, “Silver Machine“, which reached No.3 in 1972. Unfortunately In 1975 Lemmy was fired from Hawkwind after he was arrested at the Canadian border in Windsor, Ontario, on drug possession charges. He then went on to form a new band called “B4$t4rd” with guitarist Larry Wallis (former member of the Pink Fairies, Steve Took’s Shagrat and UFO) and drummer Lucas Fox. Lemmy’s connection with Took (formerly of T. Rex) was not limited to Wallis, as they were personal friends and Took was the stepfather to Lemmy’s son, Paul. He was informed that a band with this name would never get a slot on “Top of the Pops”, so Lemmy changed the band’s name to “Motörhead” – the title of the last song Lemmy wrote for Hawkwind. Soon after, both Wallis and Fox were replaced with guitarist “Fast” Eddie Clarke and drummer Phil “Philthy Animal” Taylor and with this line-up the band began to achieve success, their sound appealed to both Lemmy’s original fans and, eventually, to fans of the punk rock scene. In fact, he asserts that he generally feels more kinship with punks than with heavy metal; he even played with The Damned for a handful of gigs when they had no regular bassist. Lemmy’s guttural vocals were unique in the world of rock at that time, as they would not be copied until the rise in popularity in punk. The band’s success peaked between 1980 and 1981 with a number of UK chart hits, including the classic single “Ace of Spades“, which is still a crowd favourite today and the Number 1 on the live album No Sleep ’til Hammersmith. Motörhead have since gone on to become one of the most influential bands in the heavy metal music genre and are still performing and releasing records to this day. Despite Motörhead’s many member changes over their 35-year history, the current lineup of Lemmy, Phil Campbell and Mikkey Dee has remained constant since 1995. Lemmy has also worked with a number of other musicians over his career and occasionally guests with Hawkwind. He wrote the song “R.A.M.O.N.E.S” for the Ramones, which he still plays in his live sets as a tribute to the band. He was brought in as a songwriter for Ozzy Osbourne’s 1991 No More Tears album, providing lyrics for the tracks “Hellraiser“, (which Motörhead would later record themselves and release a single), “Desire”, “I Don’t Want to Change the World” and the single “Mama I’m Coming Home”. Unfortunately in 2000, Lemmy was diagnosed with Type-2 diabetes, and this led to a brief hospitalisation, but he again appeared with Motörhead at WrestleMania 17. then in Novembert 2002 Lemmy published his autobiography, White Line Fever . In 2005, Motörhead won their first Grammy in the Best Metal Performance category with their cover of Metallica’s “Whiplash”. In October 2009 it was announced that he had been involved in recording a cover of “Stand by Me” featuring Lemmy on vocals and bass, Dave Lombardo of Slayer on drums and produced by DJ and producer Baron. The song was made for professional skateboarder Geoff Rowley. In 2011 Lemmy also appeared on the song Debauchery As A Fine Art from Michael Monroe’s new solo album called Sensory Overload. As it is nearly Christmas I have decided to start reading Oliver Twist again, this was the second novel written by Charles Dickens, and was first published by Richard Bentley in 1838. It has also been the subject of numerous film and television adaptations, and is the basis for a highly successful musical play, and the multiple Academy Award winning 1968 motion picture made from it starring Harry Secombe and Oliver Reed. During his journey to London, Oliver encounters Jack Dawkins, a pickpocket more commonly known by the nickname the “Artful Dodger”, although Oliver’s innocent nature prevents him from recognising this hint that the boy may be dishonest. Dodger provides Oliver with a free meal and tells him of a gentleman in London who will “give him lodgings for nothing, and never ask for change”. Grateful for the unexpected assistance, Oliver follows Dodger to the “old gentleman”‘s residence. In this way, Oliver unwittingly falls in with an infamous Jewish criminal known as Fagin, the so-called gentleman of whom the Artful Dodger spoke. Ensnared, Oliver lives with Fagin and his gang of juvenile pickpockets in their lair at Saffron Hill for some time, unaware of their criminal occupations. Still mistakenly believing that they make wallets and handkerchiefs. Oliver Twist is An early example of a social novel, and is notable for Dickens’ unromantic portrayal of criminals and their sordid lives. The book exposed the cruel treatment of many a waif-child in London, and called the public’s attention to the large number of orphans in London during the Dickens era. Dickens also mentions various other contemporary evils, including the Poor Law, child labour and the recruitment of children as criminals. He also mocks the hypocrisies of his time by surrounding the novel’s serious themes with sarcasm and dark humour. The novel may have been inspired by the story of Robert Blincoe, an orphan whose account of hardships as a child labourer in a cotton mill was widely read in the 1830s. It is likely that Dickens’s own early youth as a child labourer also contributed to the story’s development.